Please send your SMS in Unicode to support all cyrillic languages such as Chinese, Arabic or Japanese. Simply enable the Unicode features before sending a text message. If you want to send text messages and also answer to the reply of those, please use one of our virtual numbers. You can add numbers to our Virtual Phone or Spoof Chat App to send and receive SMS messages. You can only send a fax to real fax machines. There is only a certain amount of virtual numbers per country. If there is no one available, all of those virtual numbers are in use at the moment. Please be patient, numbers will be available soon for that country again. To receive SMS and calls you have to add virtual numbers to your account. You can add virtual numbers in your Dashboard for Virtual Phone, Spoof Chat or the Call Forwarding App. For SMS only, you have to add a virtual number for our "Spoof Chat" App. For redirecting incoming calls to your real phone, you need a number for "Call Forward"
If a virtual number for a specific country is not available at the moment, please be patient. We will refill them and they should be available soon again. Some virtual numbers may have a country restriction, this means, some UK numbers cannot be used outside from the country. If you need a worldwide using, please select another country for your virtual number. We recommend US or Australian numbers. 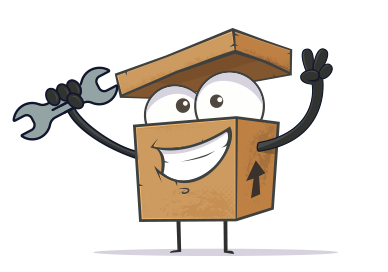 You can purchase Spoofbox credits to use all our apps, tools and adding virtual numbers to your account. Bitcoin and crypto payments may take some time due to confirmation. It can take some hours till you see credits in your account. We cannot accept refunds on acclamation. Please contact your payment provider (Google, Apple, Paypal) directly and open a support ticket there. If we receive the refund information from the payment provider, we will check it immediately. I tried Spoof Call, but my own phone was called, not the recipient’s? That’s absolutely right! First, you will receive the call on your real phone and as soon as you pick up, the call will be redirected to the recipient’s phone. You may try to use the web browser for your calls instead of entering your own phone number.